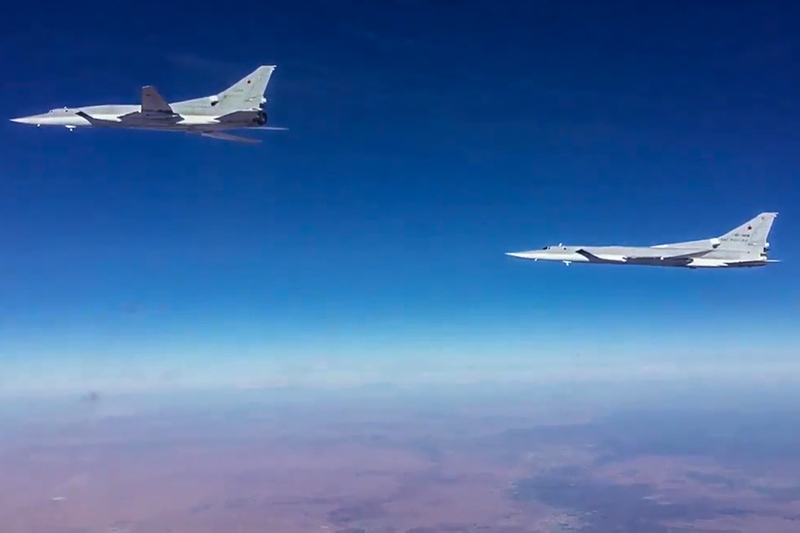 Russia’s Tupolev Tu-22M3 long-range bombers have delivered airstrikes on the Islamic State’s ammunition depots near the town of Al-Mayadin in Syria’s Deir ez-Zor province, the Russian defense ministry said in a statement on Feb. 3. "Russia’s Tupolev Tu-22M3 long-range bombers flying from domestic airfields, have crossed the airspaces of Iran and Iraq to deliver airstrikes on the terrorist facilities. The airstrikes targeted large ammunition depots of the ISIS terror group," the statement reads. "According to the data recording equipment, all the intended targets were destroyed," the statement adds. The Sukhoi Su-30SM and Su-35S fighter jets, flying from the Khmeimim airbase, have been covering the Tu-22M3 bombers during the airstrikes. "After completing their combat mission, all the Russian aircraft returned to their base airfields," the defense ministry said.